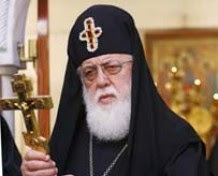 Georgian Patriarch: "Why Aren’t There At Least 2-3 Georgian Churches Functioning in Turkey?" The Georgian Patriarchate voiced criticism over talks on restoration of ancient Georgian churches in Turkey and mosques in Georgia. According to press reports, the Georgian and Turkish governments are negotiating restoration of four Georgian churches in the territory of Turkey and four mosques and a bath in Georgia. The document says it is necessary to determine who will be the owner of churches restored in Turkey, and mosques renovated in Georgia. The Patriarchate also expressed hope that the offers will be acceptable to both sides to make relations more constructive.